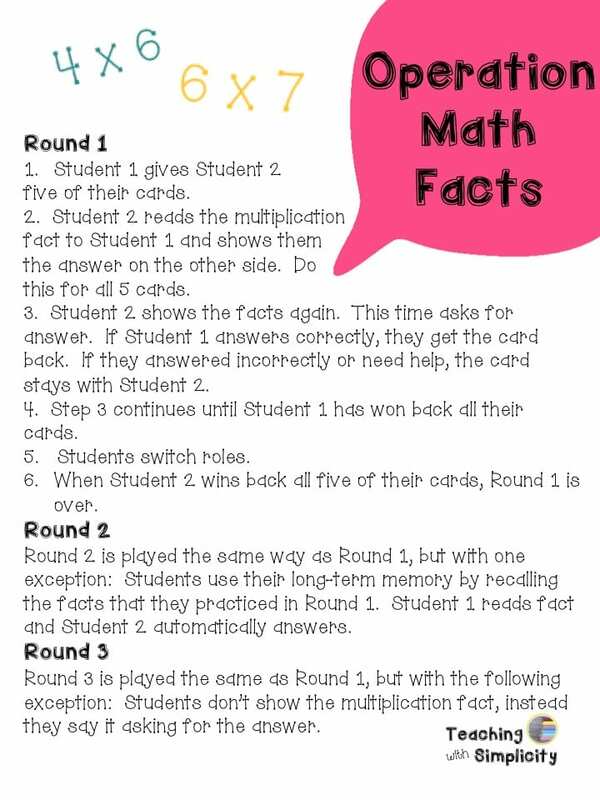 Who LOVES teaching/practicing math facts with their students? Yeah, me neither! Every.Single.Year…I feel as if I am banging my head against the wall! Blahhh…uggg…sighhhhh….. I wish I had the one tried and true solution to this never ending battle, but I don’t! What I do have is a never ending supply of strategies that I unleash every year. Here is a new one that I want to add to the 10 Ways to Practice Multiplication Facts. With this game/strategy students are recalling facts using their short term memory then move to the long term memory. All in one game. We do this game before we do the timed tests. Thanks to Melissa and the FANTASTIC post Making Timed Math Tests Engaging and Meaningful, my eyes were opened to an entirely new approach to timed multiplication tests! If you actually break down the multiplication facts that students need to learn and memorize, there are really only 36. I created three printable variations of the above multiplication facts. Students have 1 minute and 30 seconds to complete as many as they can. After the time is up, we check them together, they record the number of problems that they got correct, and then they graph the results. After they have graphed their results, they finish the problems that they weren’t able to finish during the timed portion. Last, they circle what we call a “focus fact”. This is the fact that they commit to practicing in preparation for the following day. The “focus fact” is circled in pink or red. How is this different? I have seen a HUGE gain in confidence with my fourth graders. Instead of dreading this portion of math class, they look forward to it! They want to beat their goal from the day before! Goals are personal, they own them and feel successful when they surpass their previous goal. Another difference is that students get practice every single day with every single fact. When the timed portion is complete, they don’t get to abandon what they didn’t complete (which is what typically happens). Students have to finish all of them. I encourage you to read Melissa’s post Making Timed Math Tests Engaging and Meaningful. It inspired me and I know it will do the same for you! 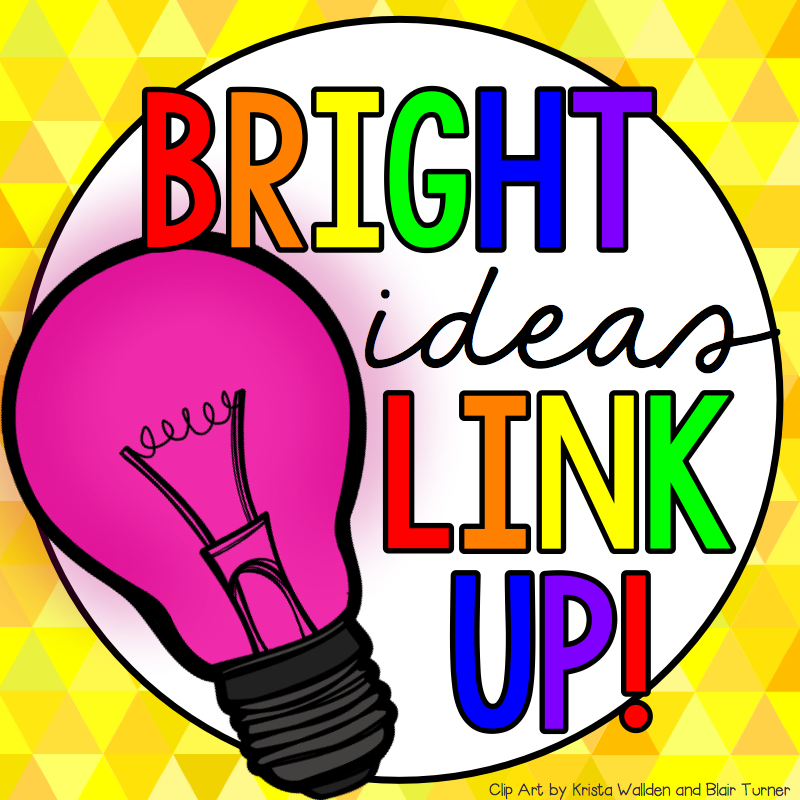 For more bright ideas, please browse through the link-up below and choose a topic/grade level that interests you.